the jays and song birds, the quail and woodpeckers. Small and large birds all together in the maple tree out front with the frozen river and snowy fields beyond. their time to fly is not here yet. on my little town over the river. 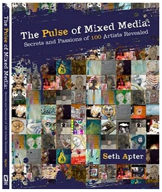 which will be out in March and you can pre-order here. 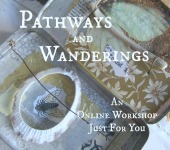 My online workshop is called Pathways and Wanderings and we begin on January 3rd! I purchased a hi-definintion camera just for this and some very special projects for Cloth Paper Scissors in the spring. I even got a special light that mimics daylight so that I can videotape my workshop on dark stormy days! Oh, I have learned so much! 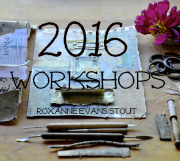 Isn't it a wonderful thing to learn and then to create with all your new knowledge? I have learned about lighting and sound and color, and themes and transitions and adding titles. And even more important I have become comfortable with my video camera and move it around to different spots in the house with ease, depending on what I want to film. and you can work with me or go at your own pace! omg you have quail!!! When we moved in and put out the feeders a lone pair of mourning doves showed up. they were always together and so very sweet to watch. this year we have two pair that come to the feeders!! I know I know, dove don't move many people, but, to me, they're a sign that all is well. dove don't do chaos! Thank you for sharing--and your class is phenomenal!!! and I can't wait to have your book in my hot little hands!!! Stunning photographs Roxanne. They capture the spirit and mood of the season so very well. Roxanne, your winter world is beautiful...a very happy new year to you!